Government Has Been ‘the Problem’ Since Ronald Reagan. Except, Maybe, Until Now. “The White House got rolled on Friday by Nancy Pelosi, to be sure. But it also got rolled by TSA agents, and air-traffic controllers, government employees standing at food co-ops and pantries, as well as thousands of inconvenienced ordinary Americans standing in line at airports. This is more important than the fact that the president* got beaten again by the new-slash-old Speaker of the House. It was said by more than a few people that the shutdown would prove to be an alpha test for small government. Instead, it became a demonstration that 40 years of that kind of thinking may finally have run out of energy. Without necessarily meaning to do so, those thousands of Americans made the opposite case by standing in all those lines. 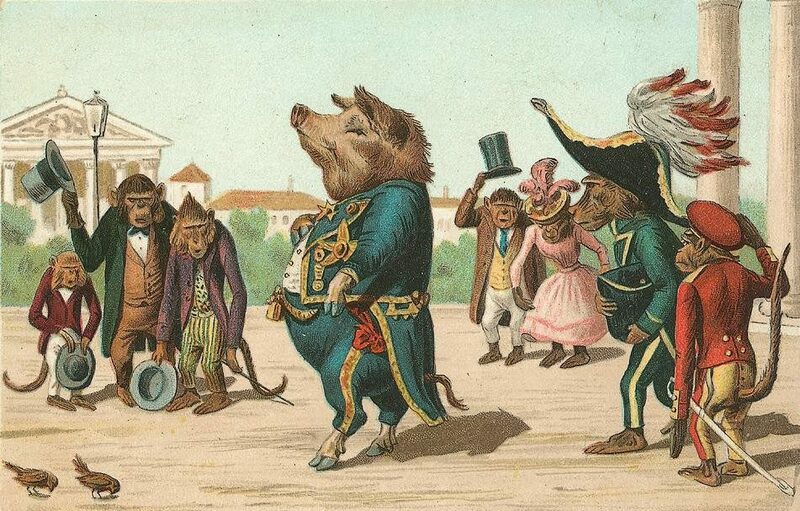 Without necessarily meaning to do so, those thousands of Americans decided that government was the solution, and not the problem, at least as far as getting from the ticket counter to the jet way. I’m stressing the whole air-traffic business because that’s where the long slide toward Trumpism began. When Ronald Reagan broke the controllers’ union, he signaled that the federal government was a) open for business, and b) on the side of management, and therefore on the side of capital and not labor, and the Republican Party committed itself to that equation as a matter of faith. Simultaneously, it adopted supply-side economics as its only real policy in that area. And that’s where it’s been since 1981. Until, I suspect, maybe, now. “First of all, the fact … that he says, ‘We’re going to build a wall with cement, and Mexico’s going to pay for it’ while he’s already backed off of the cement — now he’s down to, I think, a beaded curtain or something, I’m not sure where he is,” Pelosi said in an interview with USA Today published Tuesday. 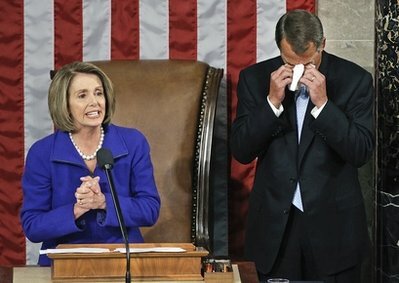 …Nancy Pelosi had cried when she became Speaker? What would the reaction of the GOP have been?